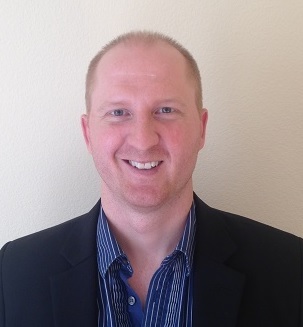 Tim Swanson is the founder and director of research at Post Oak Labs. He was previously a visiting research fellow at the Singapore University of Social Sciences as well as at Sim Kee Boon Institute at Singapore Management University. He worked in East Asia for more than six years and is currently based in the San Francisco Bay Area. He is a graduate of Texas A&M University. His 2015 paper: “Consensus-as-a-service: a brief report on the emergence of permissioned, distributed ledger systems” popularized the term “permissioned” blockchain (or ledger), a topic which remains a mainstay at fintech conferences globally. He is currently an advisor to Elm Labs, Clearmatics, and Blockseer (acquired by DMG), and was an advisor to Hyperledger (acquired by DAH). He does not own any cryptocurrencies in any of the companies or projects he has written about, nor has he received financial compensation for including companies or projects within his articles. He was previously the Director of Market Research at R3. His research papers have been cited in a variety of media and has appeared on more than one hundred industry panels and events over the past four years. He is also frequently quoted in media including: Wired, MIT Technology Review, Reuters, The New York Times, Bloomberg, The Wall Street Journal, The Financial Times, The New Republic, American Banker, and International Business Times. Panel: “Cryptocurrency Investing” at Fintech Silicon Valley meetup in Palo Alto on February 22, 2018. WSGR Fintech Conference: Current Issues Facing Fintech Companies and Investors on February 9, 2017 in San Mateo. Digital Transformation in FinTech from Orange Silicon Valley on February 16, 2017 in San Francisco. Bank Innovation 2017: Making Fintech Go on March 6, 2017 in San Jose. Presentation: “Code is not law” at the NYU course “Bitcoin and Cryptocurrencies” on March 23, 2017 in NYC. Smart Cloud Show 2016 from Chosun Ilbo on September 21, 2016 in Seoul, South Korea. Guest lecture at the Boston Economic Club on November 16, 2016 in Boston, Massachusetts. Panel: Today and tomorrow’s applications of blockchain technologies, or how will the blockchain impact our daily lives? Panel: Blockchain in financial markets: game changer or overhype? Guest presentation (slides) with Tim on “Is the adoption of blockchains and consensus ledgers a foregone conclusion?” for Sim Kee Boon Institute lecture. Panel (video) with Tim, Jackson Palmer (creator of Dogecoin) and Tina Hui (creator of Follow The Coin) covering cryptocurrency adoption, self-regulation, tipping, transparency, affinity fraud and other topics. Panel (video) with Tim, Adam Krellenstein (Counterparty), Oleg Andreev (CoreBitcoin), Pamela Morgan (Empowered Law), Stefan Thomas (Codius, Ripple Labs), Stephan Tual (Ethereum), Yurii Rashkovskii (Trustatom) and moderated by Roman Snitko with Straight. Topics revolved around the development of smart contracts. Panel (video) with Tim moderating debut of Blockchain University with panelists: Tom Ding from Koinify, Ryan Charles from Reddit, Ryan Smith from Chain and Atif Nazir from Block.io. Interview (video) with Tim and Matt Garner regarding social media and e-commerce in China. ” 【铅笔独家专访R3】让人不禁驻足的R3最近又在做什么!” from ChainB on April 7, 2017. You can find deep things about China. So great of you. Thank you, very insightful. I look forward to reading much more of your current & future content. Hello Tim, I’m writing for a financial newspaper in Chile, I’d like to talk to you!